Apple is sponsoring Remix Hotel Miami, which happens next month during Winter Music Conference (WMC) at Eden Roc Resort March 24-26 and is being billed as Three Days of Total Technology Immersion. Admission is free. with top artists and experts on today's music production gear. pricing on the products seen at the RHMIA. and Erin Hutton will alternate with live performances from Sonic Bids. Jason O'Grady (a.k.a. DJ Eldorado) will be covering WMC 2005 for CreateDigitalMusic.com and PowerPage.org. 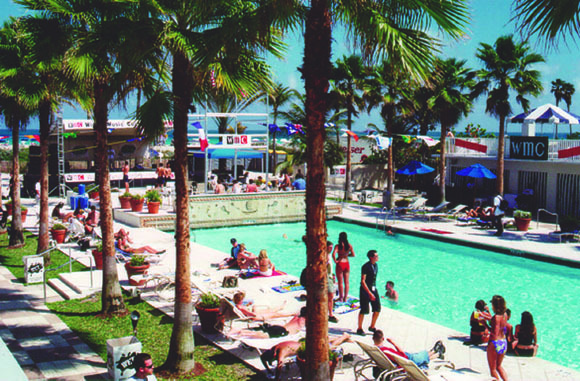 If you find yourself in South Beach for WMC this year get in touch for a meetup.